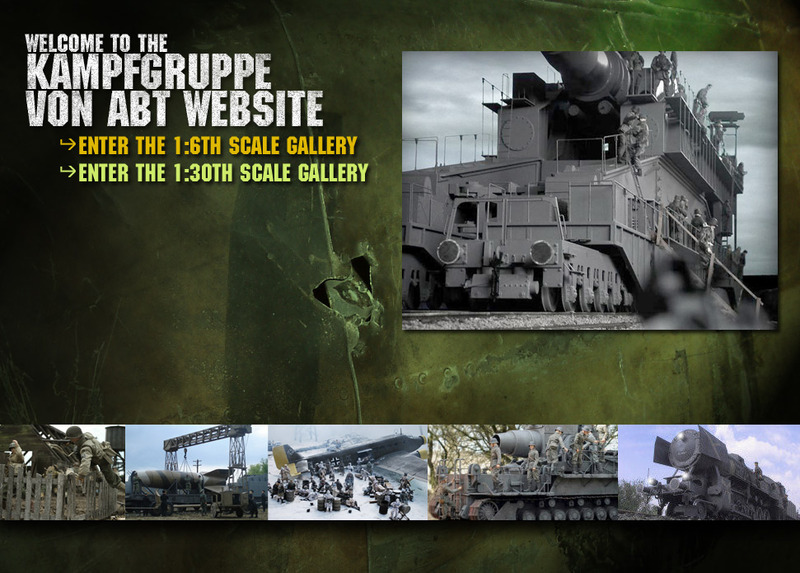 This site is dedicated to 1/6th scale models built by the Kampfgruppe von Abt modelling team, living in England. We are a group dedicated to producing high quality photo realistic dioramas. Our objective to is create large and small scale layouts that will appeal to like minded collectors and modellers of all ages. We hope our work can inspire others to reproduce their own favorite scenes. If you wish to contact us you can send an email by clicking here. Our email address is admin@vonabt.co.uk.